Tucson International Airport (TUS) serves more than 3.6 million airline passengers annually. Eight airlines offer more than 50 departures per day to 19 nonstop destination airports. 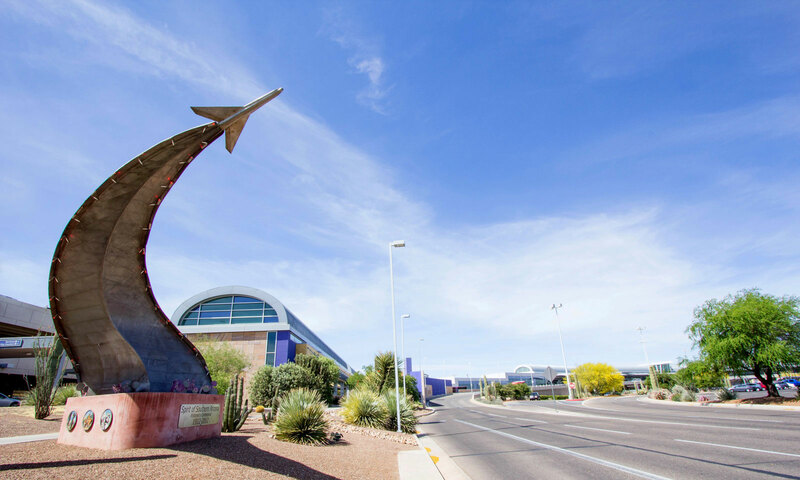 Less than 10 miles south of downtown Tucson and the University of Arizona, the airport is convenient to major business and scenic destinations.